I have, over the last year or so, been engaged in cataloguing and digitising the contents of the firm of W. Clarke of Llandaff. The firm was set up in the 1870s by Llandaff born sculptor William Clarke, son of Edward Clarke, a Bristol born sculptor, who came to Cardiff in c1851 to work for Prichard and Seddon on the renovation of Llandaff Cathedral. William Clarke’s great grandson William Michael Clarke (known as Mike) now runs the firm. 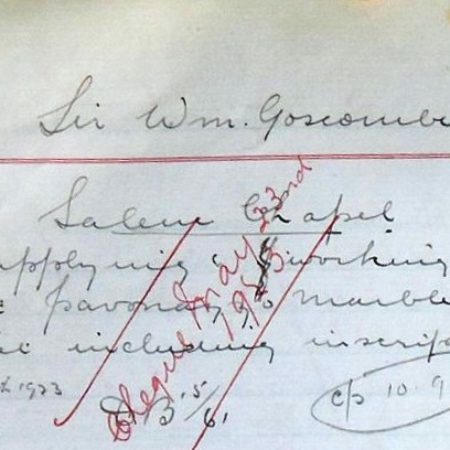 Bill book and day book records are extensive and date back to the 1890s. Some drawings and photographs are even earlier, though coverage is patchy. The project commenced with the photographing of thousands of pages from day books, bill books and notebooks, then moved on to photographing most of the drawings. This part of the project is substantially complete. Indexing has begun but much (boring) work lies ahead if it is to be completed! 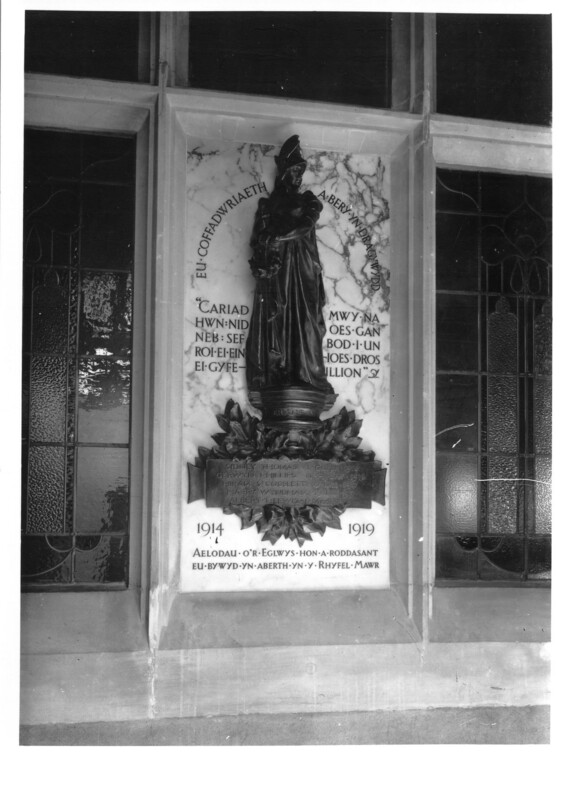 By way of a distraction from routine work I have now started to delve into the archive using WW1 memorials as a focus. 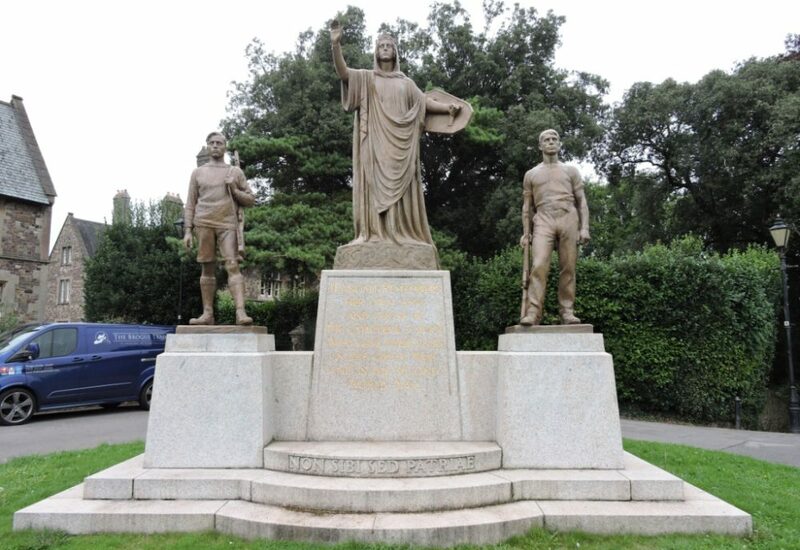 The firm was involved in the production of two such memorials for the prolific Cardiff born sculptor Sir William Goscombe John who, amongst his many commissions, is known to have designed several notable WW1 memorials including the one in Llandaff; see Figure 1. 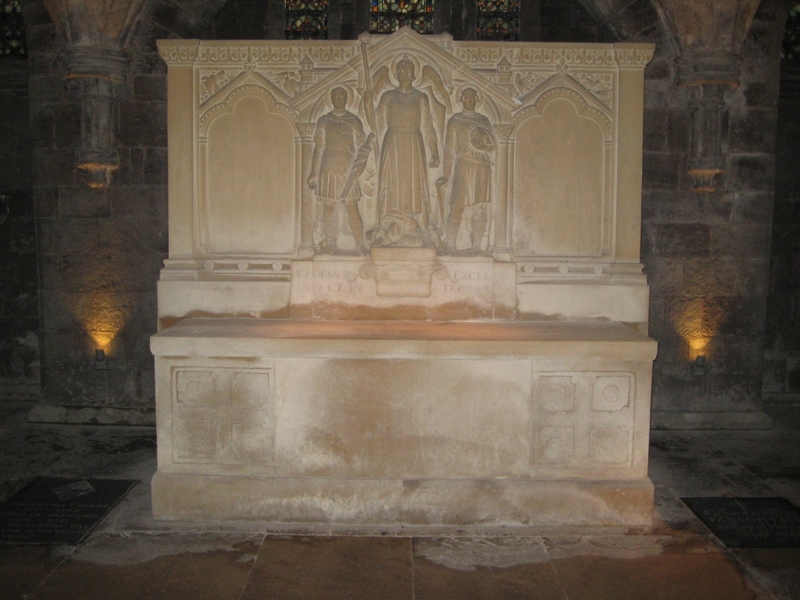 The first ‘new discovery’ was that of a reredos for the crypt of Hereford Cathedral; Figure 2. 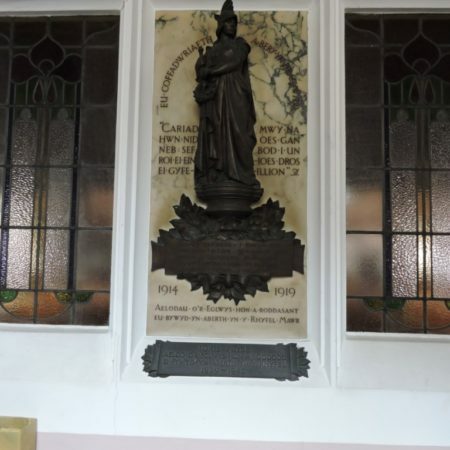 Information on this reredos was sent to Kate Andrews, Building Stones Manager, Earth Heritage Trust, Hereford and Worcester, who has written a full article on this discovery.1 The second ‘discovery’ was that of a small wall memorial for Salem Chapel, Market Road, Canton, Cardiff. Below is my description of the Salem Chapel memorial. 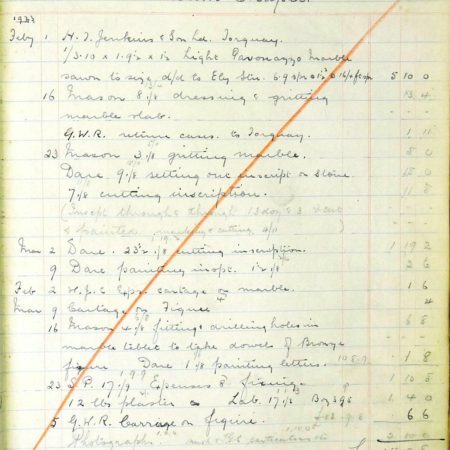 The chapel minutes book records3 that there was a War Memorial Committee set up by 1919 and that it had been negotiating with Goscombe John in 1920 and that in May 1921 Mr Goscombe John was asked to provide ‘a rough sketch of the suggested design for submission to prospective donors’; see extract of the minutes Figure 4, though the actual drawing has not come to light. By March 1922 the War Memorial Committee was ‘encouraged to proceed with their plans…’ and by September 4th 1922 it was agreed ‘That a Combined Committee of the War Memorial, the [Chapel] Debt [Committee] and Elders meet on Thursday evening of September 11th to determine finally how to present the suggestions relating to the memorial to the Church on the 18th of the month’. 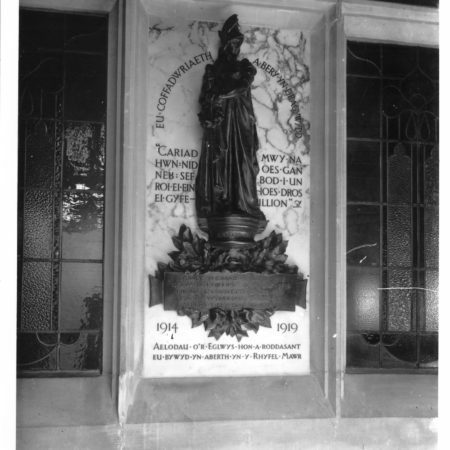 W. Clarke of Llandaff was responsible for production of the marble tablet and for fixing the completed monument in place. 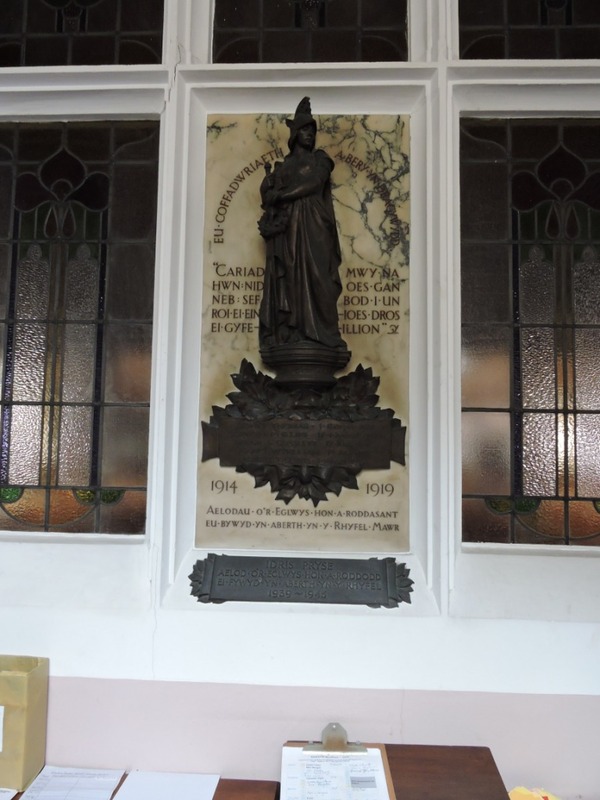 The Pavonazzo marble slab, sawn to size, was supplied by Jenkins and Sons of Torquay and arrived in Cardiff in early February 1923. One of Clarke’s masons spent eleven hours ‘dressing and gritting the marble slab’, whilst Dare spent forty-two hours marking out, cutting and painting the inscriptions in the marble. 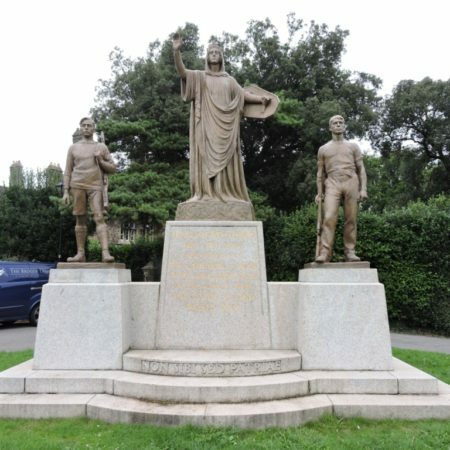 The bronze figure arrived in early March and a mason spent four hours drilling holes in the marble to take the dowels by which the bronze figure was to be attached. 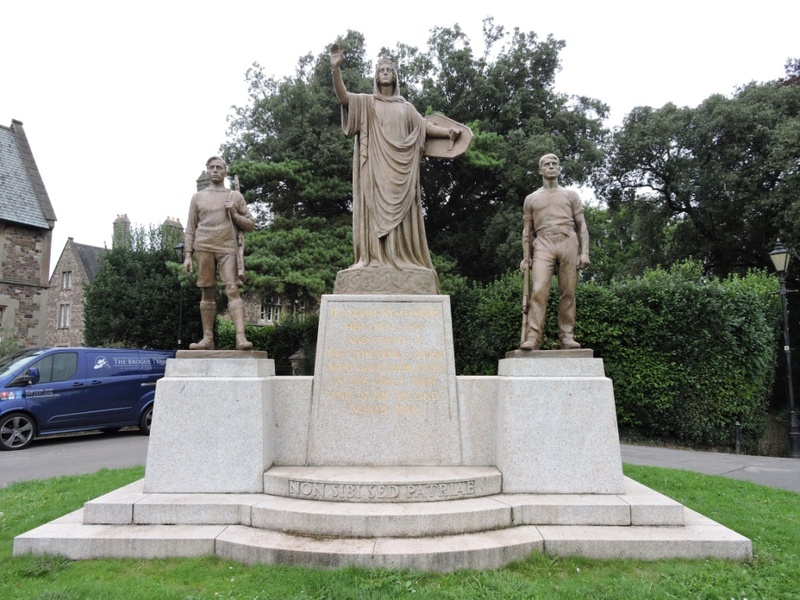 By the end of March Sid Pollard had fixed the completed monument in place, spending seventeen hours on the job. The total day works, including materials and other expenses, which included supplying a photograph of the completed job, came to a total of £15:19:8. Goscombe John was billed £13:10 by W. Clarke to ‘supplying and working light Paronazzo marble tablet including inscription’ in May 1923. 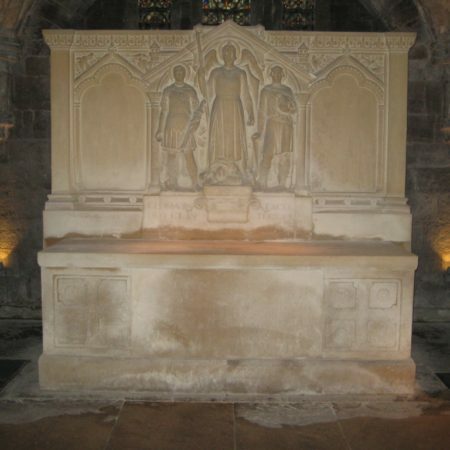 Presumably the War Memorial Committe paid for the fixing, but no record of this has been found, nor how much was paid for the work of Sir John. A photographic print of the completed job has survived in Clarke’s archive; Figure 5. The original glass plate negative is in the archives of Salem Chapel. 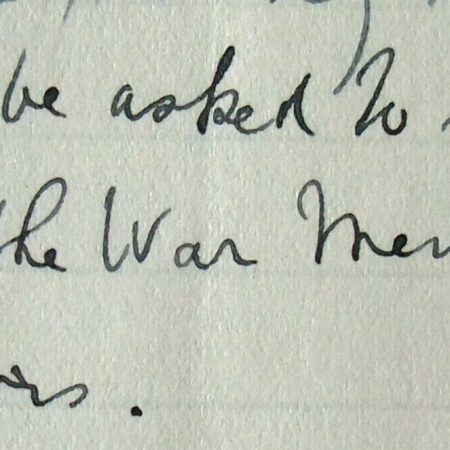 The Chapel minute book records that a meeting to unveil and dedicate the war memorial was to take place on April 8th 1923. The unveiling was to be undertaken by the Chapel’s oldest member. Mr. Gwilym Hughes, Mr. W. G. Williams and Mr. Richard Griffiths, members of the War Memorial Committee, were to give short addresses followed by a short address by Rev. Cuthbert Thomas. Mr. Wyndham Radcliffe4 was invited to chair the meeting and Mrs. T. Bevan of Bridgend was invited to sing at the occasion. Elderly members of the church were to be invited to attend. 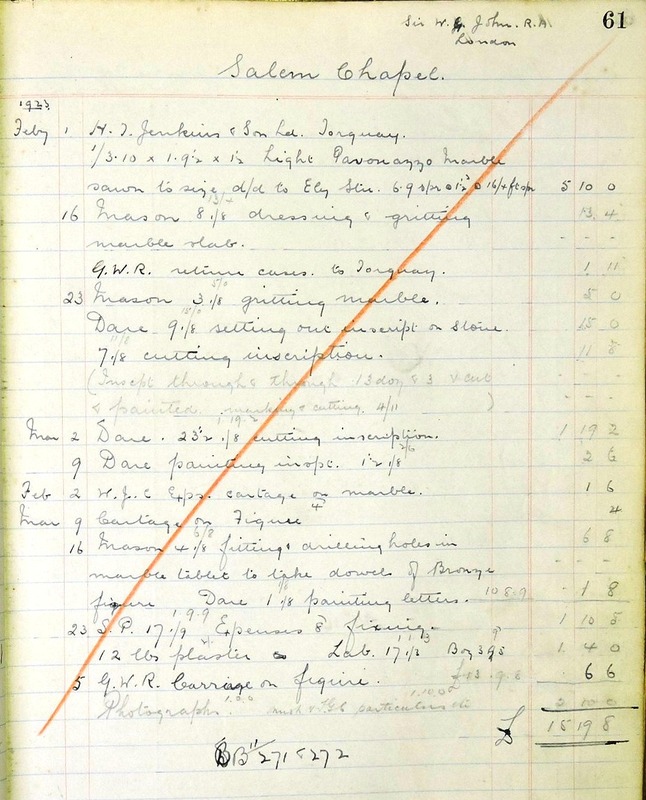 Day book and bill book records are appended; see Figures 6 and 7. Thanks are due to Mike Clarke for allowing access to his archive and permission to publish extracts from it and to Gerallt Nash for his help with the records of Salem Chapel. Gerallt Nash. Personal Communication. The early Minutes are in Welsh, then turn to English, then revert to Welsh during the early 1920s. Wyndham Ivor Radcliffe was the son of Henry Radcliffe of Druidstone, St Mellons, Monmouthshire (now Newport), a wealthy business man who died in 1921. Wyndham was a supporter of Salem Chapel.